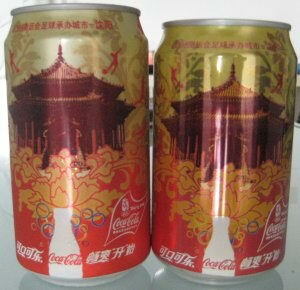 -Lunar New Year on January 24, 2001.
in Beijing and Shanghai. 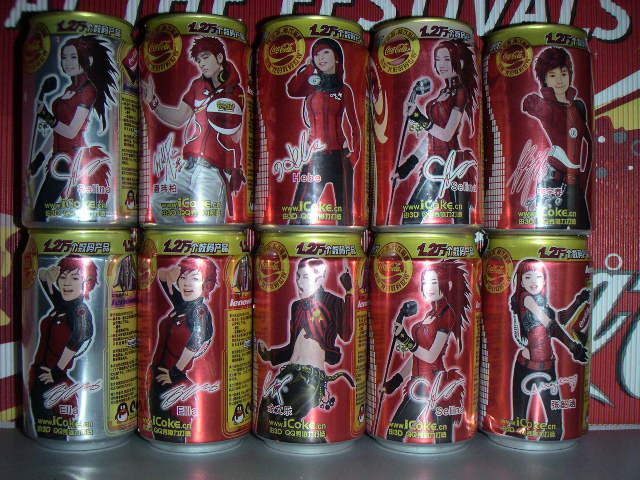 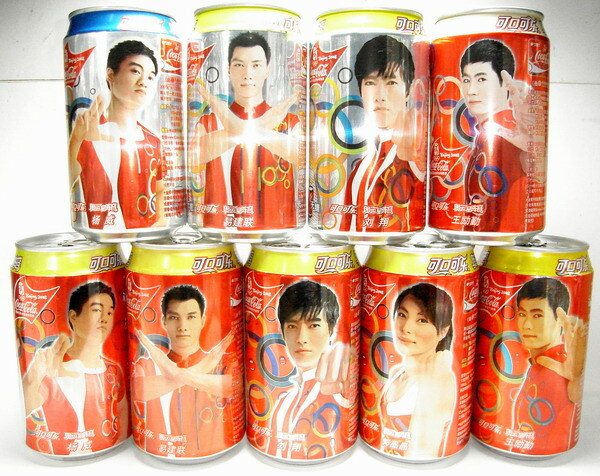 Several cans are also available in several cities such as Hainam. 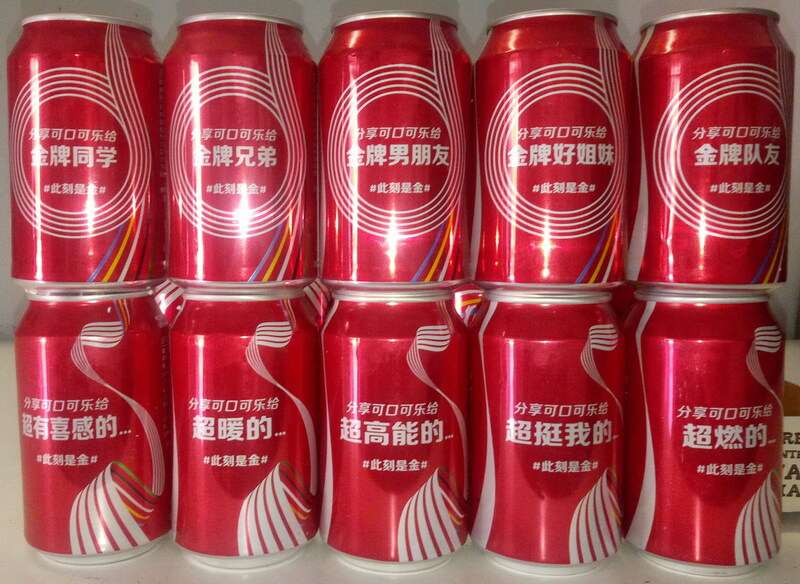 "Sheng Xiao" is the symbol of a year. 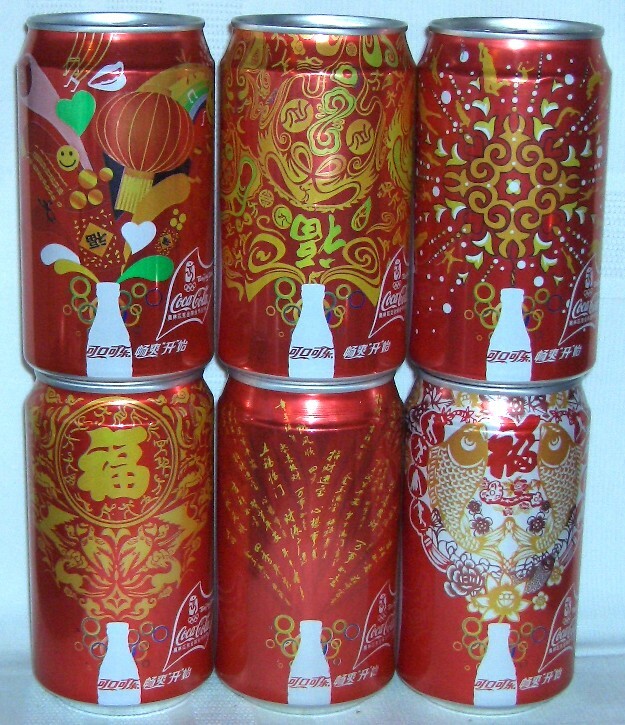 In Chinese calendar, there is a cycle of 12 Sheng Xiao's. 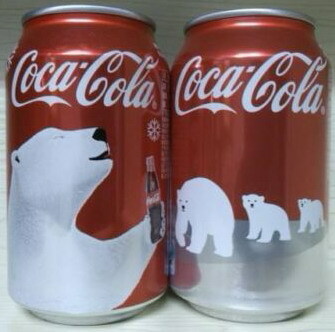 them when you check in detail (for example white instead of silver etc). 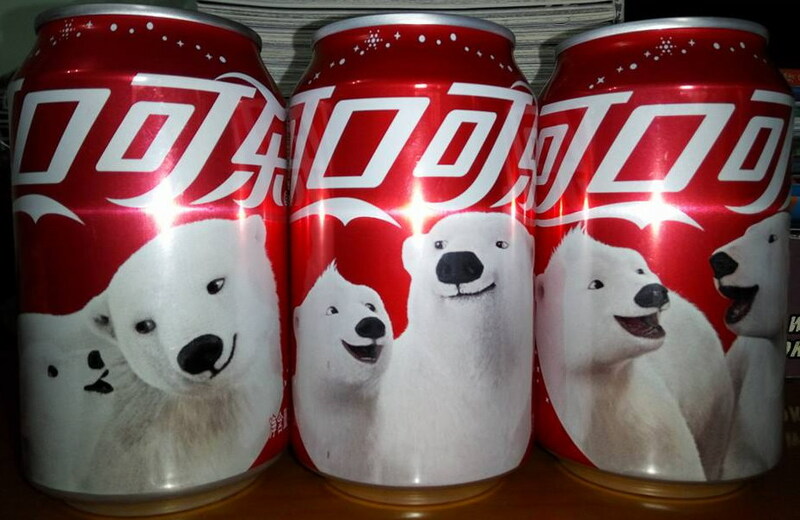 set got a GREEN cloth. 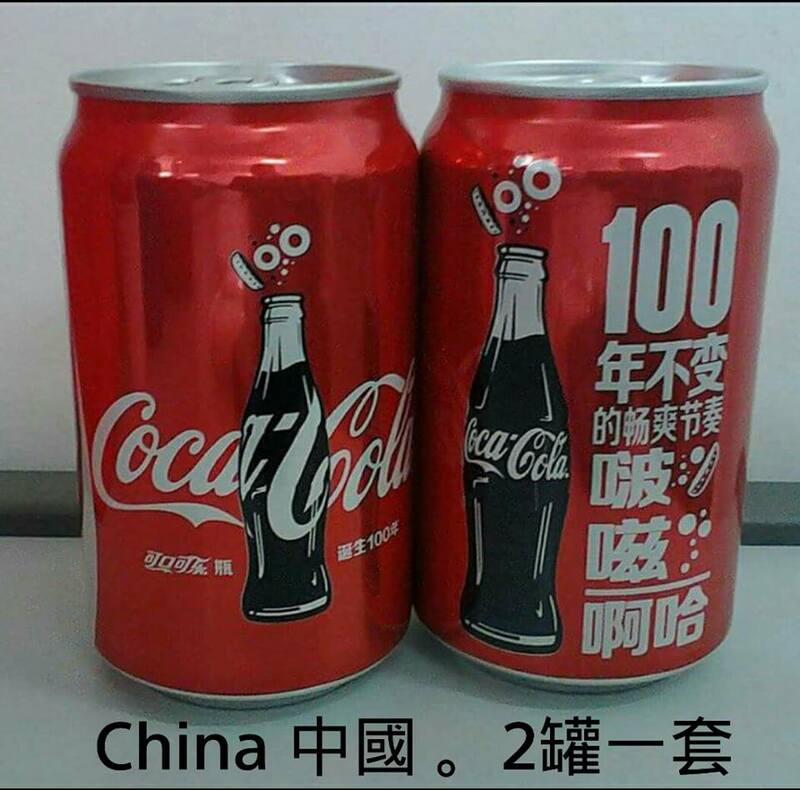 It's the biggest and most interesting difference! 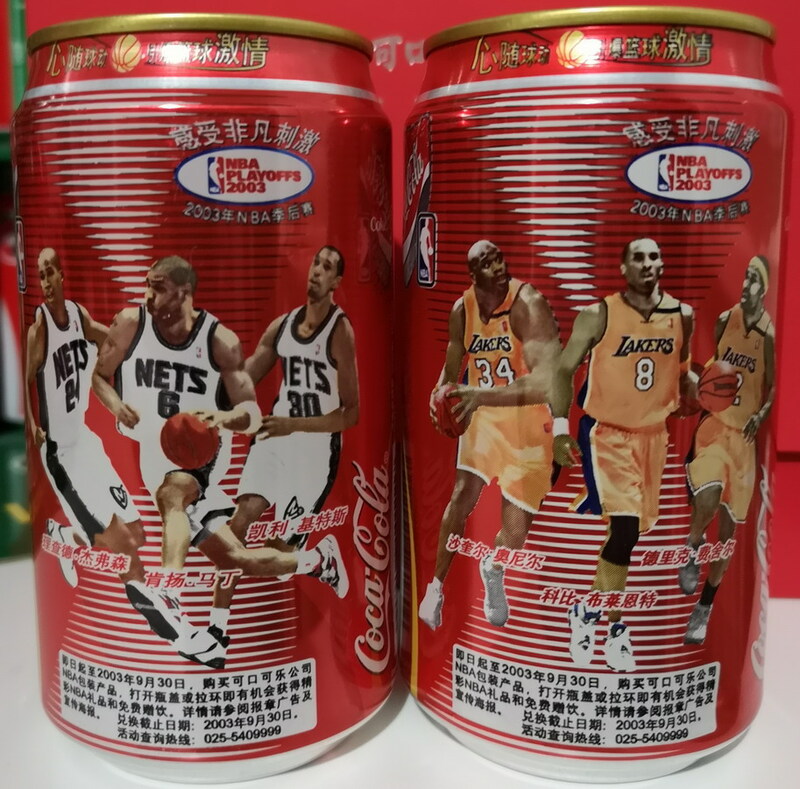 - L.A. Lakers: Shaquille O'Neal, Kobe Bryant, Derek Fisher. 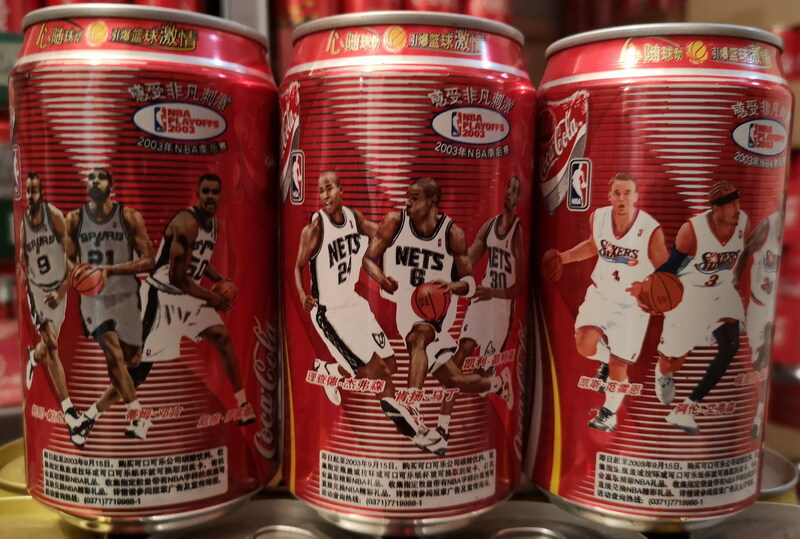 - New Jersey Nets: Richard Jefferson, Kenyon Martin, Kerry Kittles. 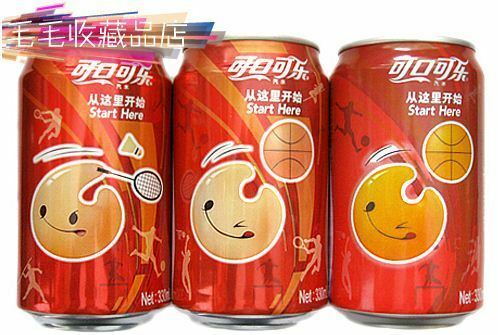 - San Antonio Spurs: Tony Parker, Tim Duncan, David Robinson. 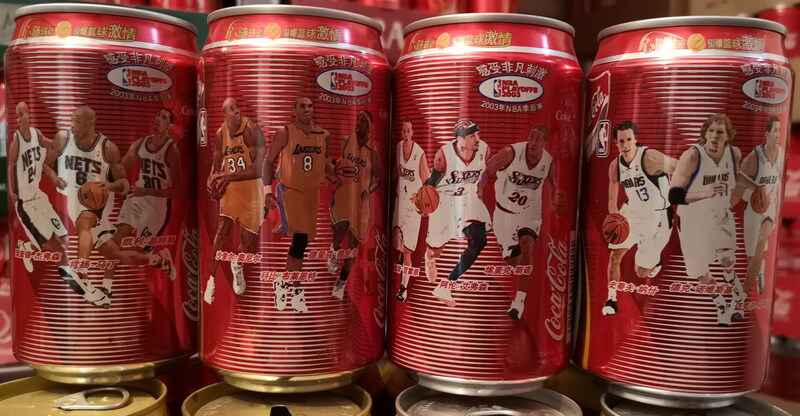 - Detroit Pistons: Richard Hamilton, Chauncey Billups, Ben Wallace. 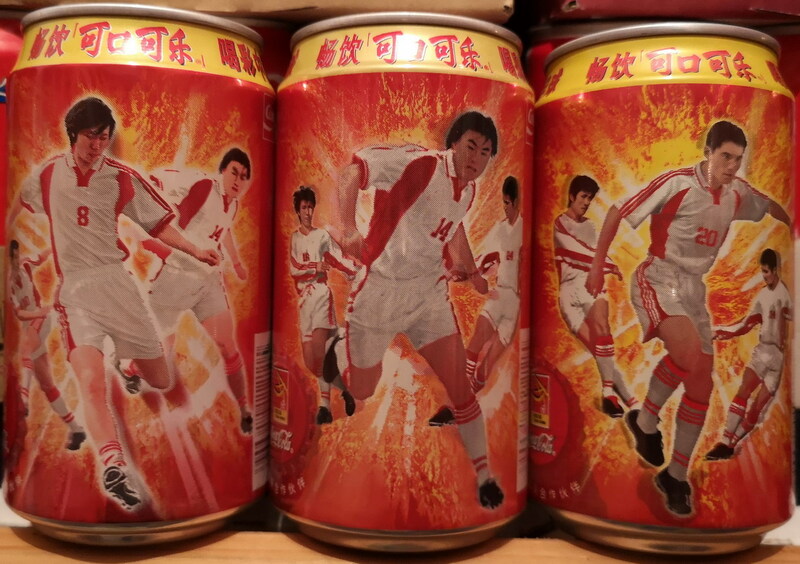 - Dallas Mavericks: Steve Nash, Dirk Nowitzki,Michael Finley. 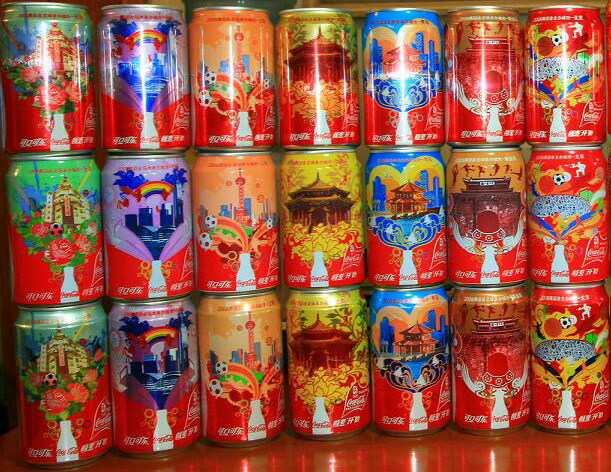 - S.F. 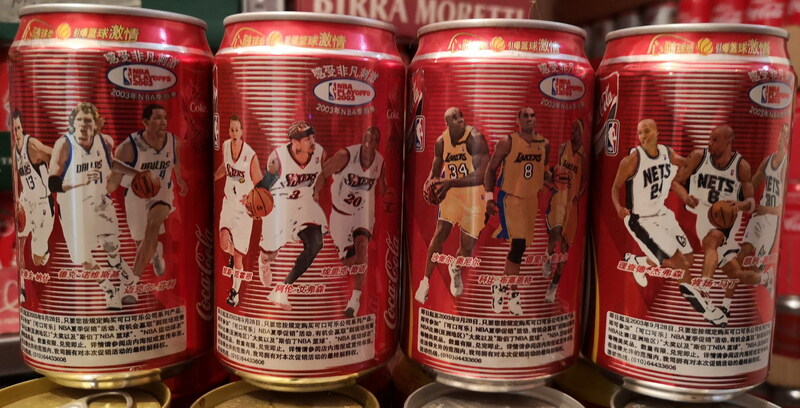 Sixers: Van Horn Keith, Allen Iverson, Eric Snow. 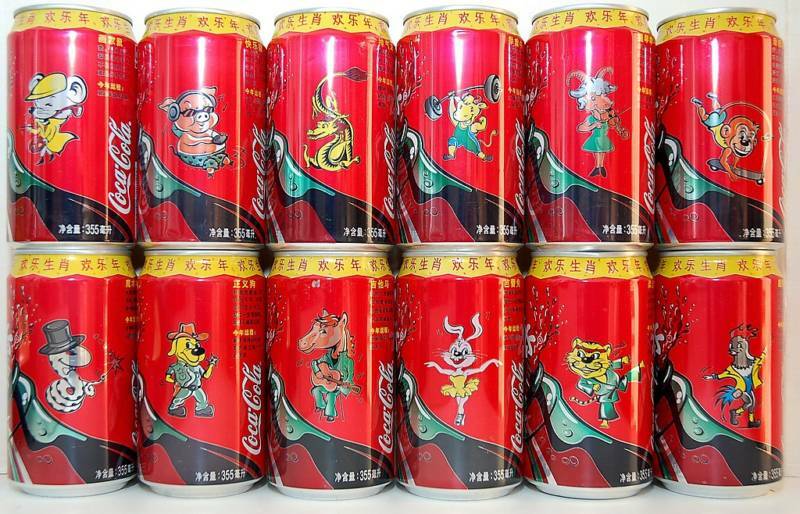 2004 CC 355ml HangZhou Coke Factory 25th (4 cans) Hai Kou (chang sha) fac. 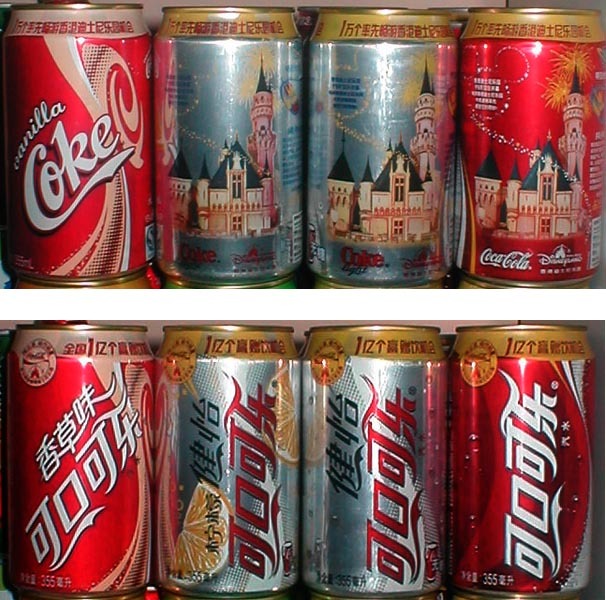 Chang Chun factory, - 2004 (steel can). 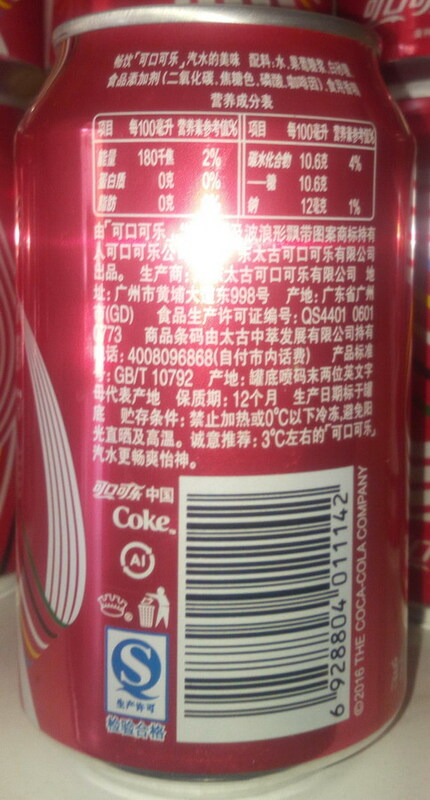 Produced as single can, perhaps! 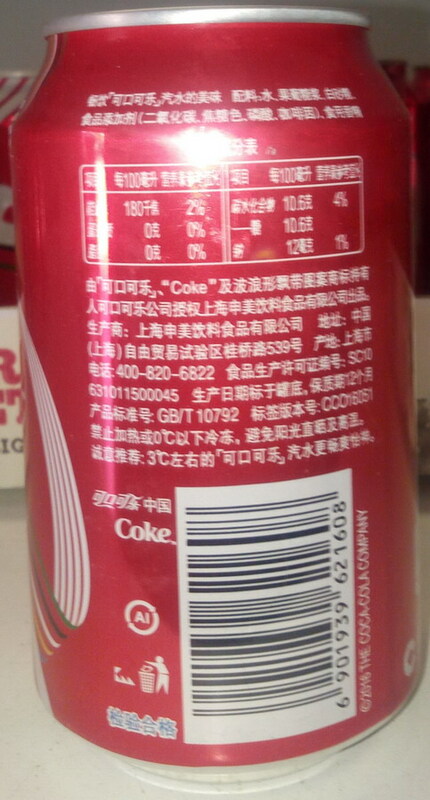 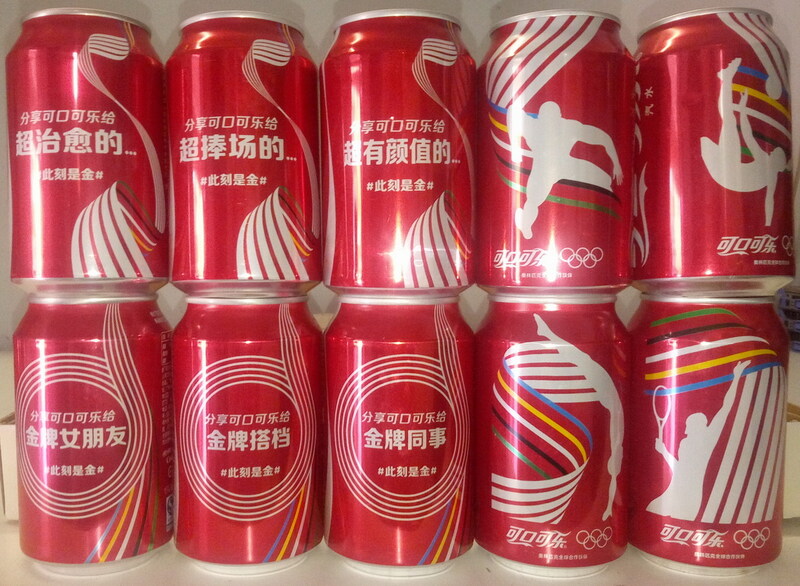 that we can say "Bei Jing Huan Ying Ni" in Chinese, the means is "welcome to BeiJing"
The first coca-cola zero set produced in china. 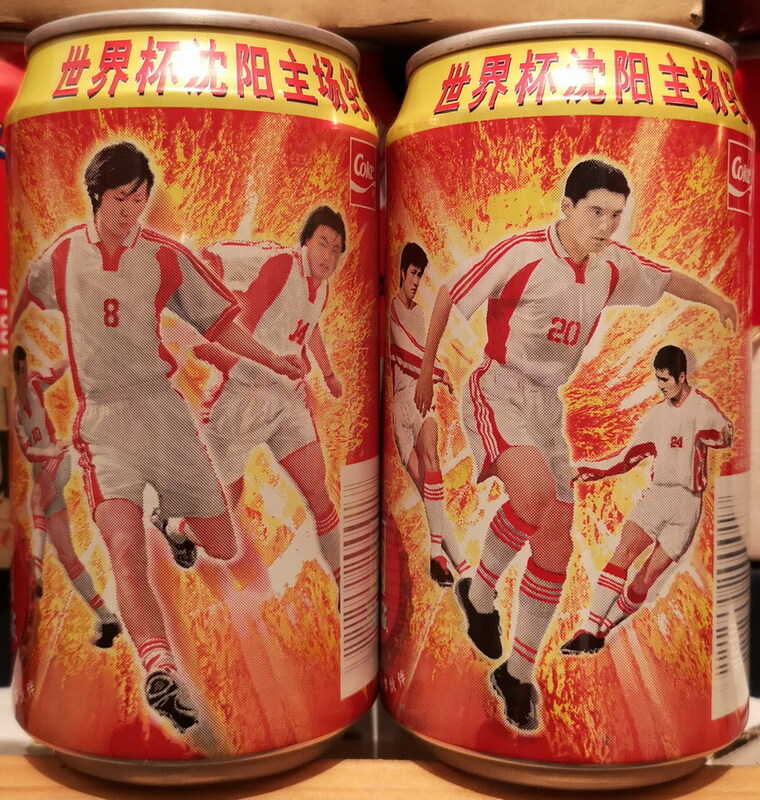 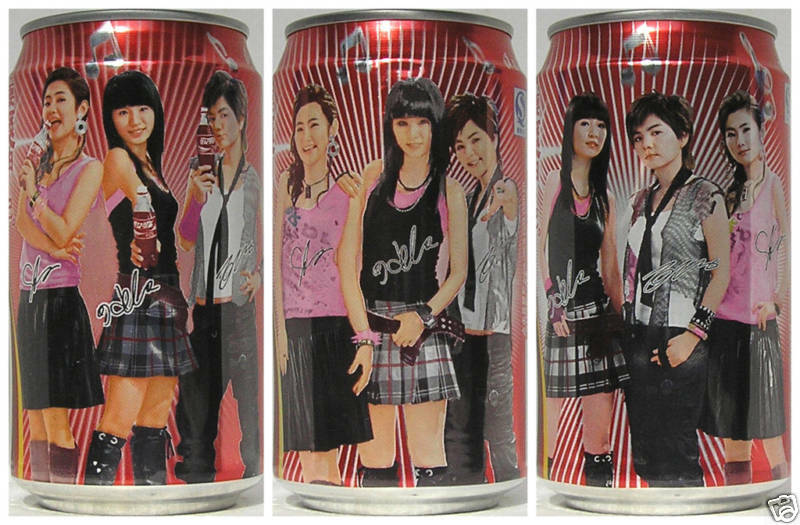 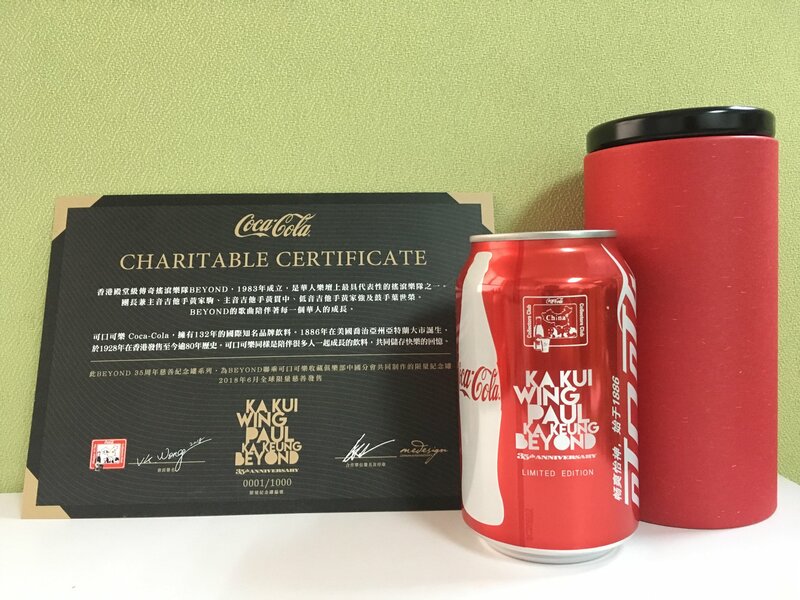 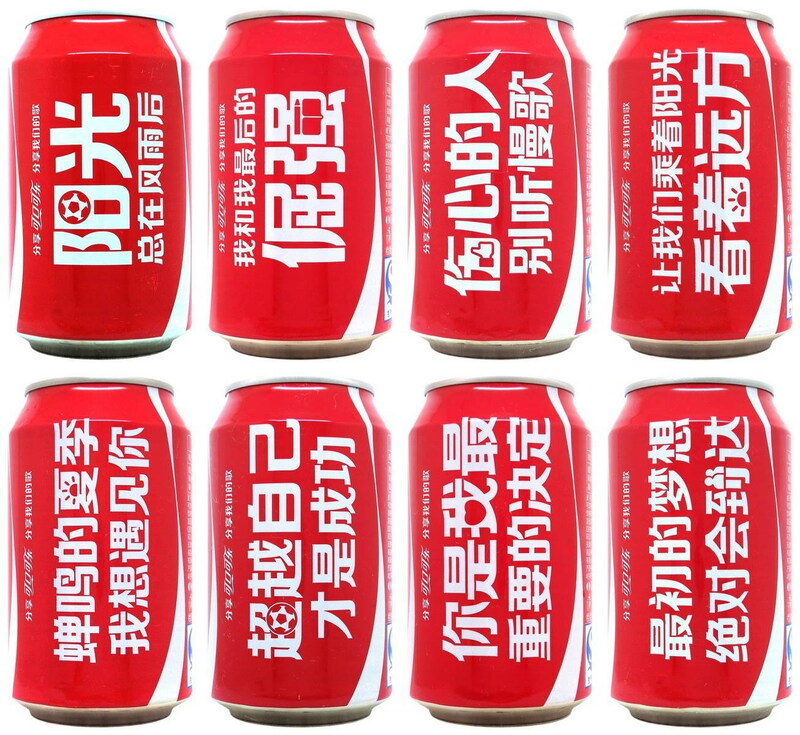 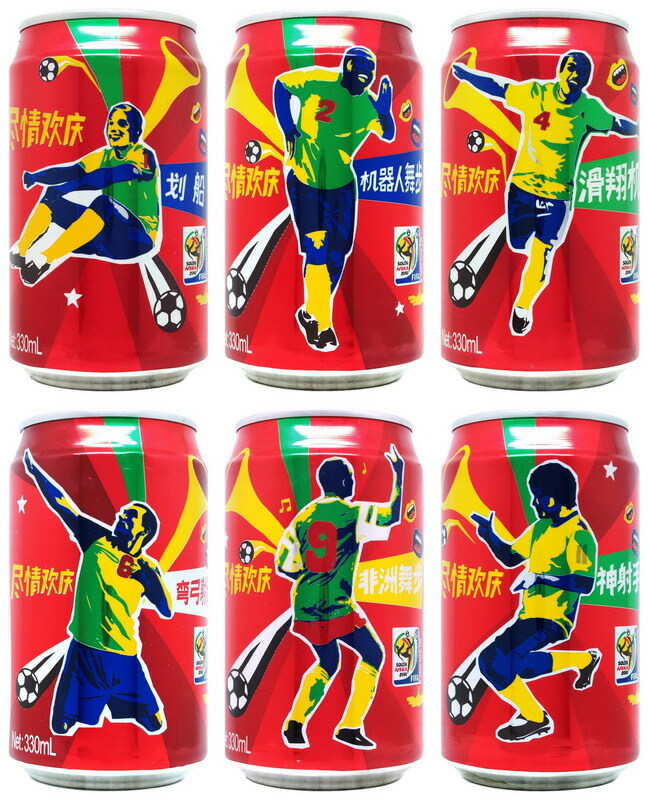 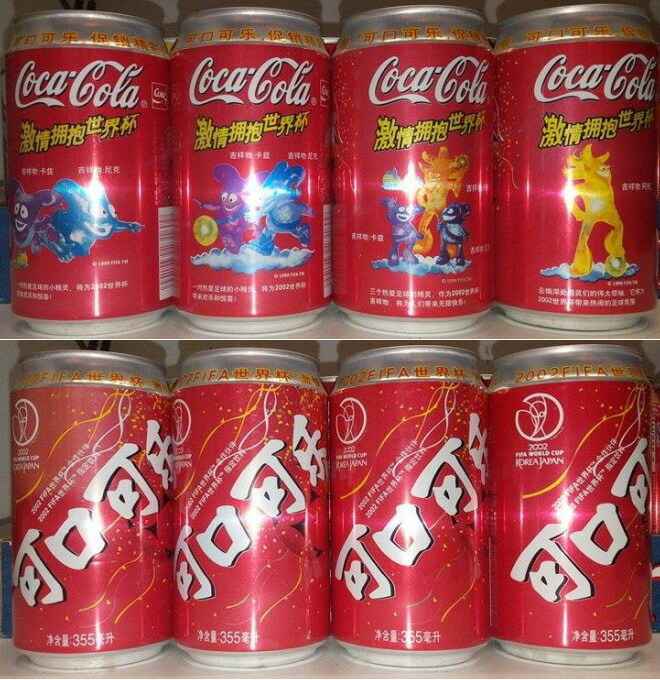 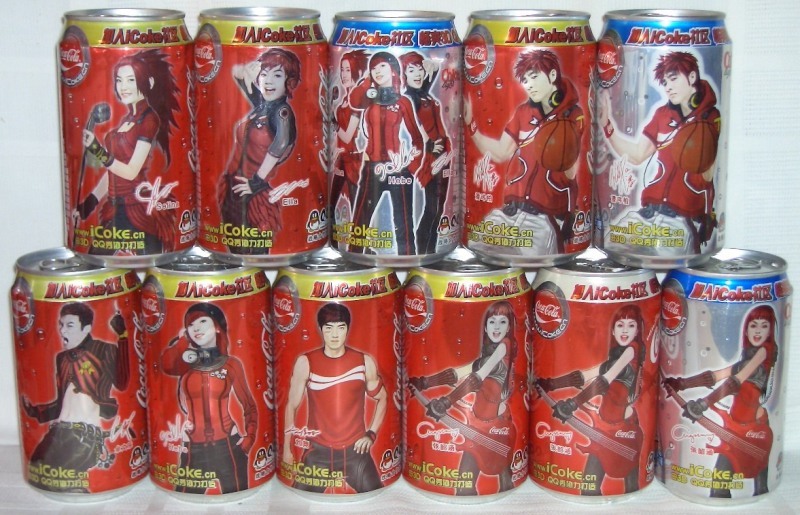 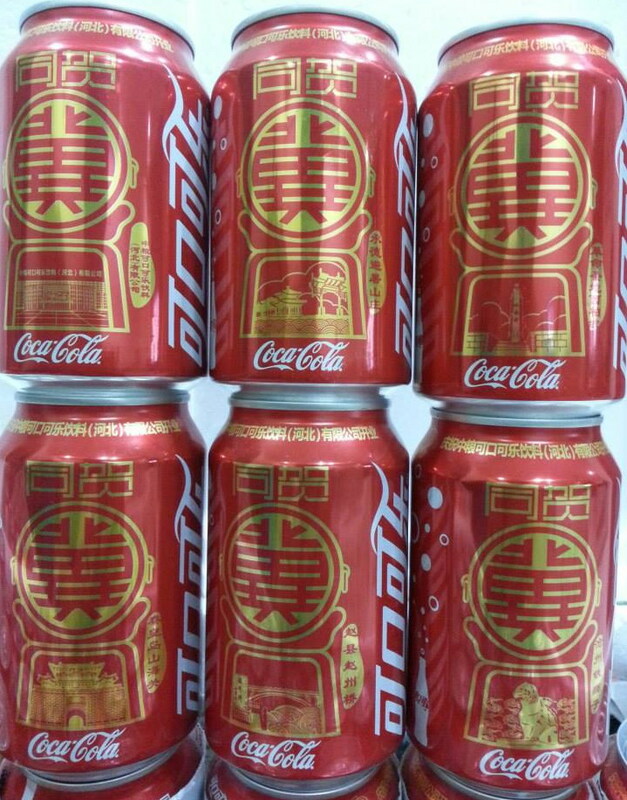 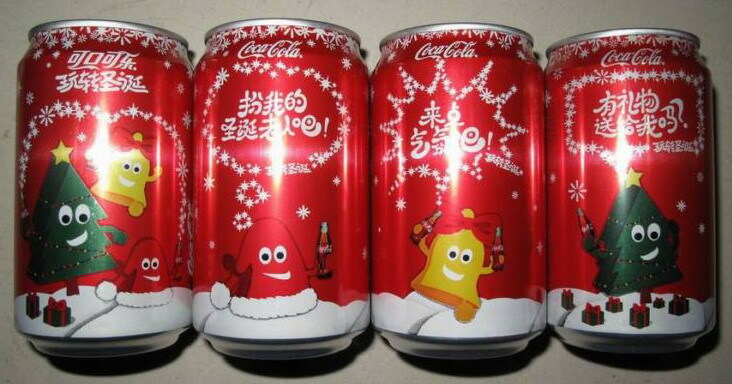 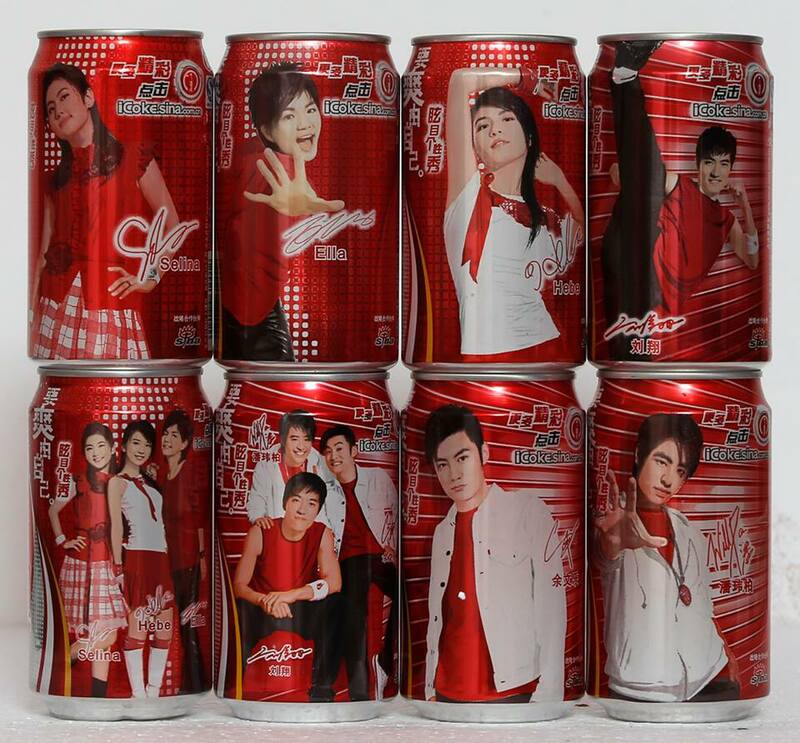 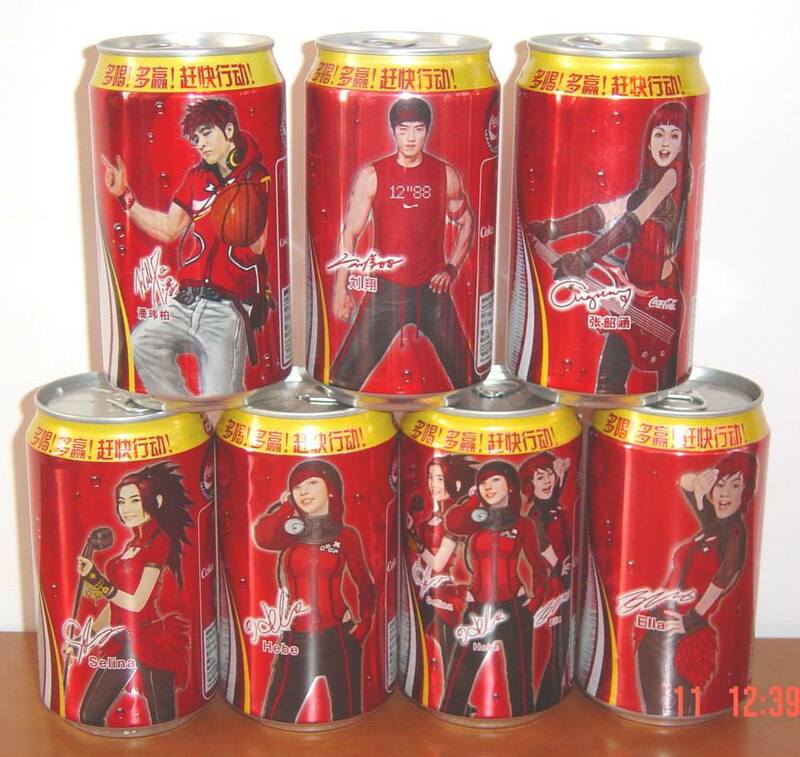 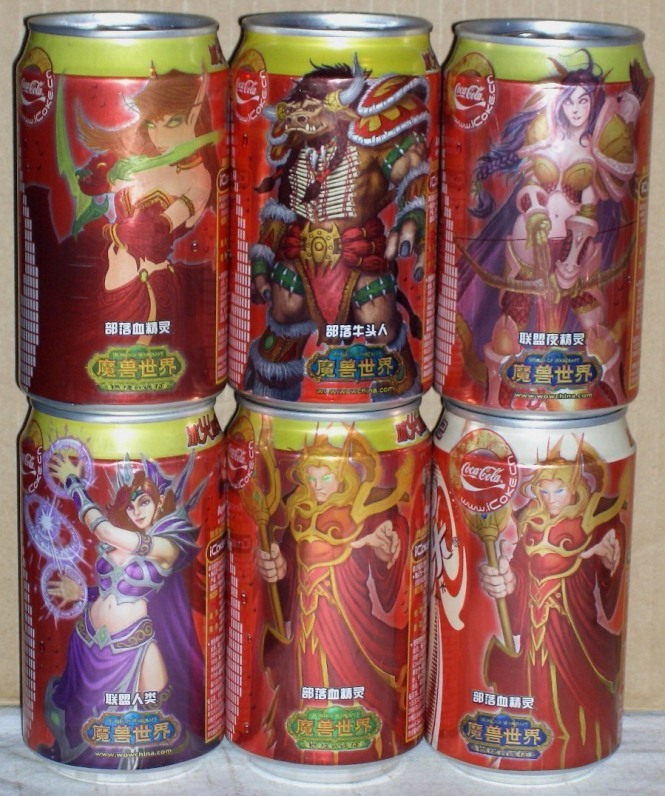 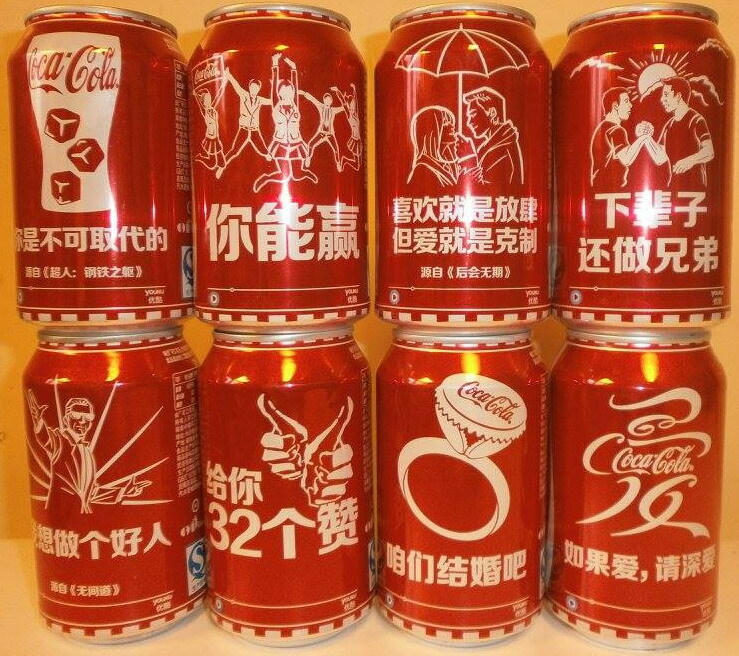 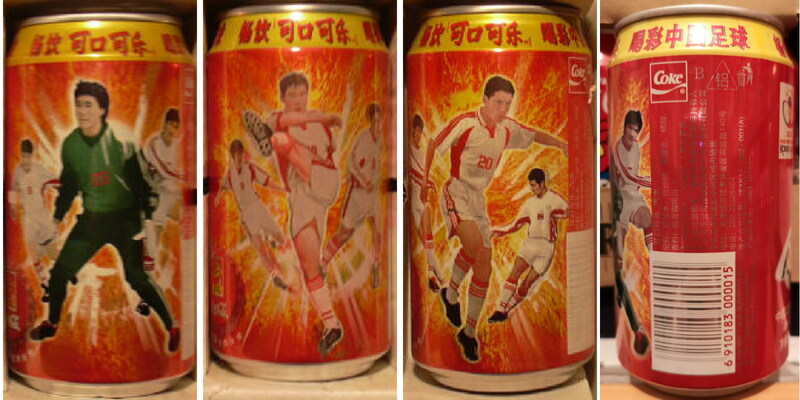 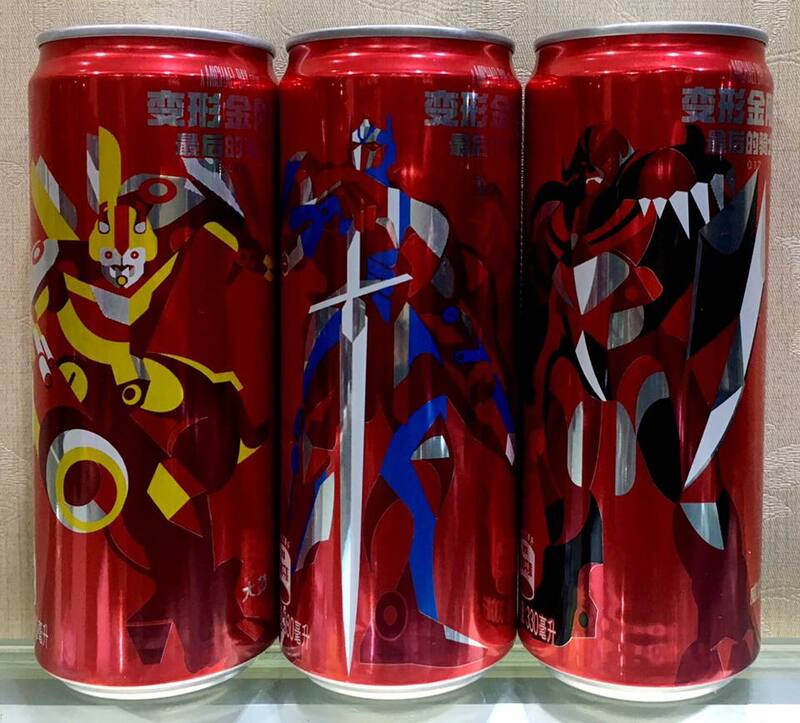 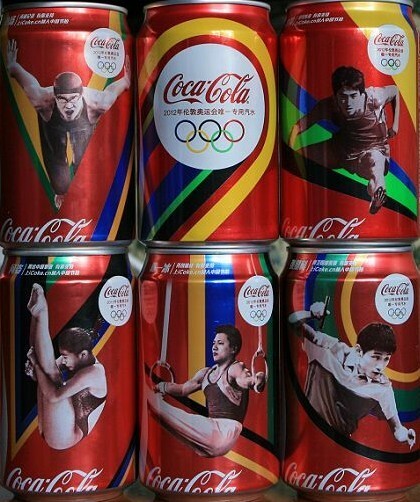 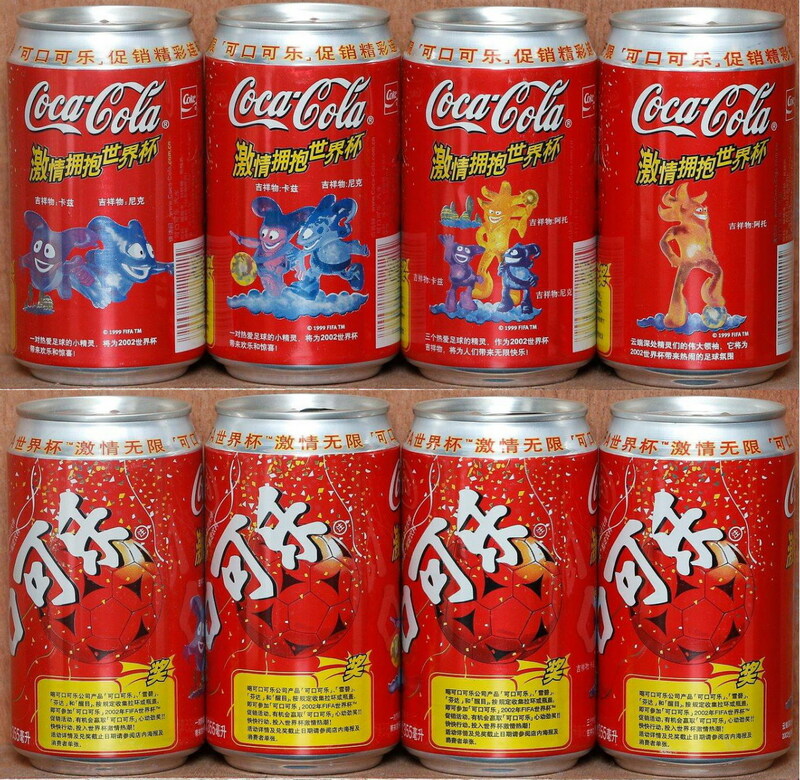 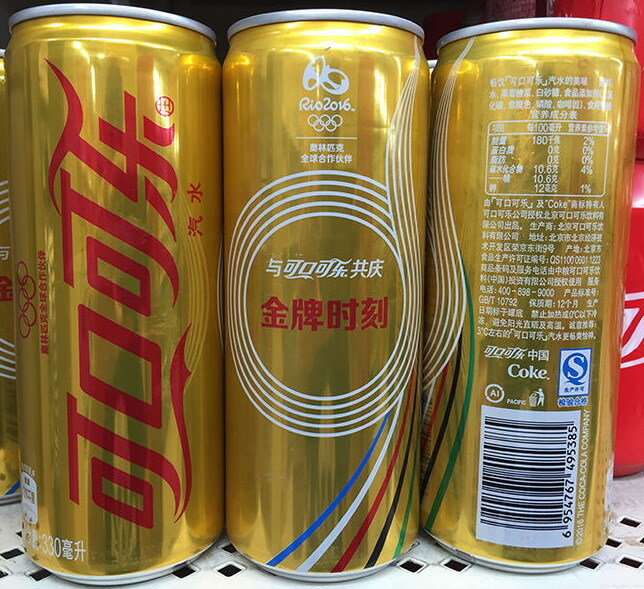 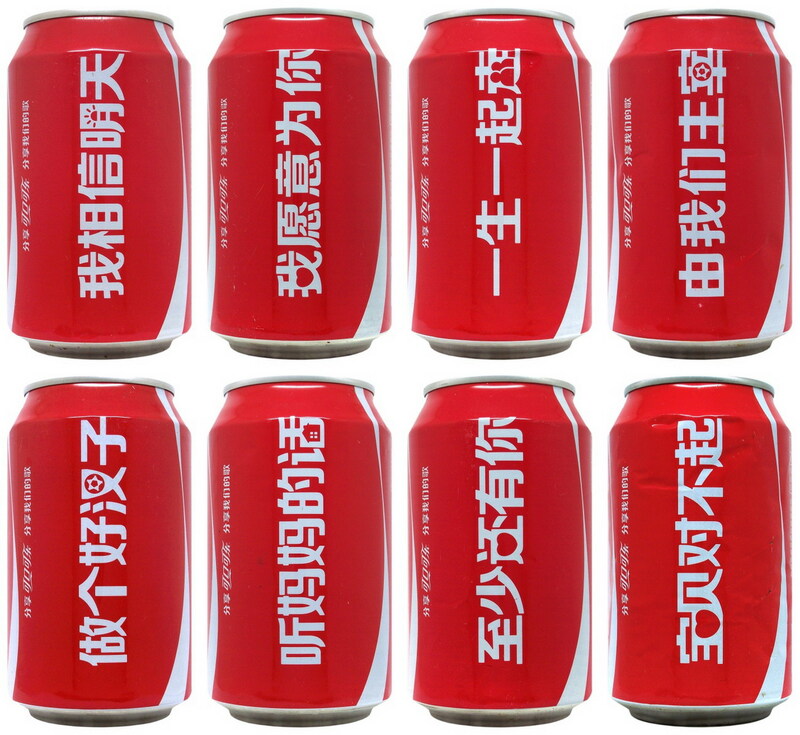 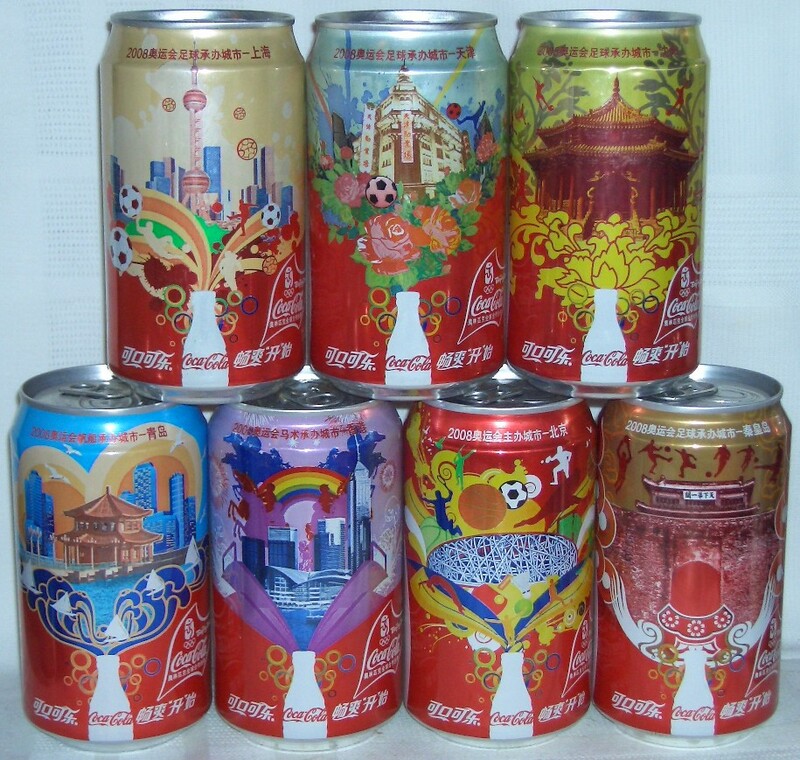 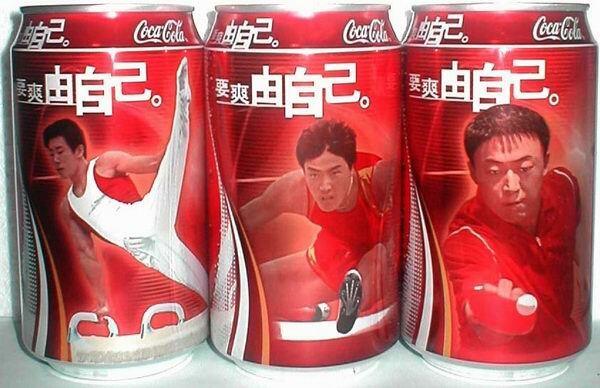 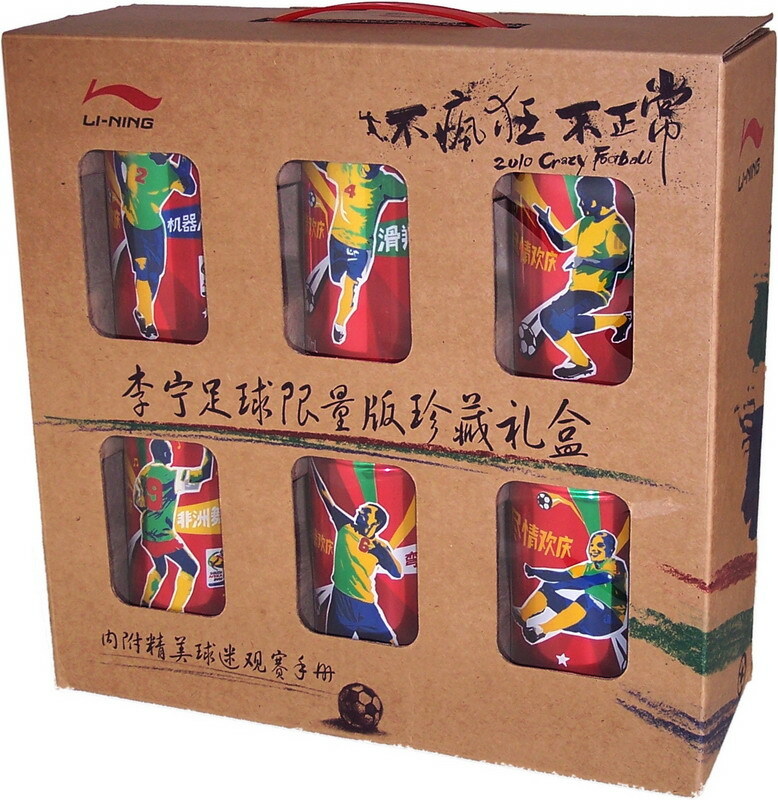 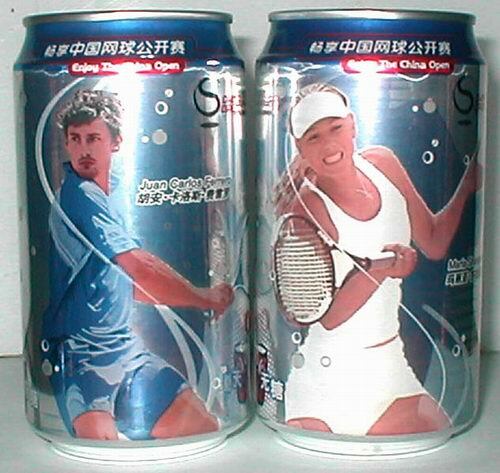 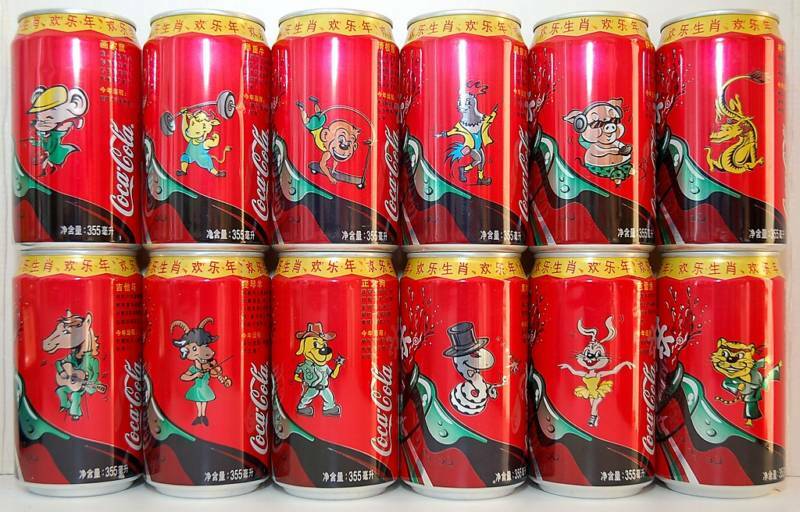 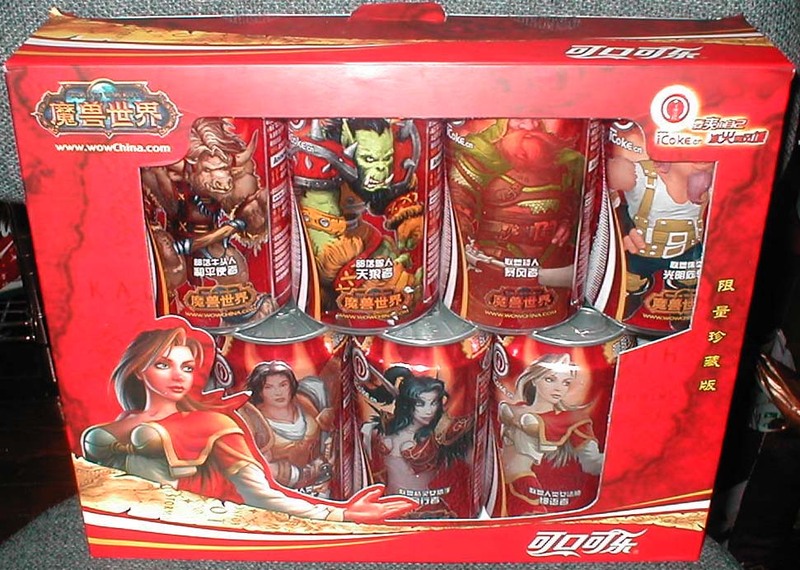 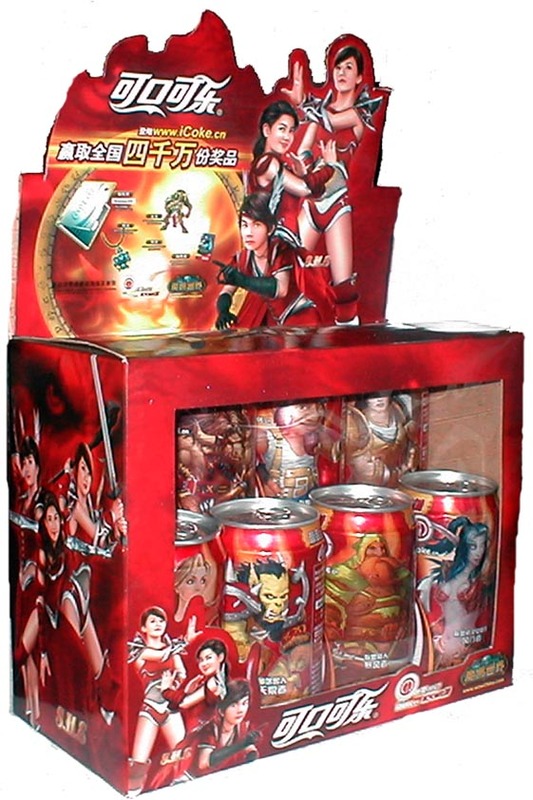 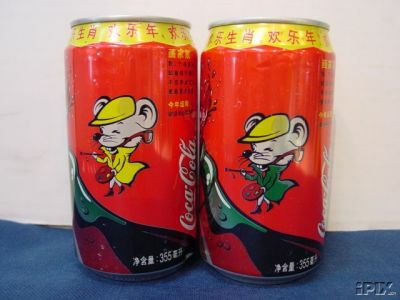 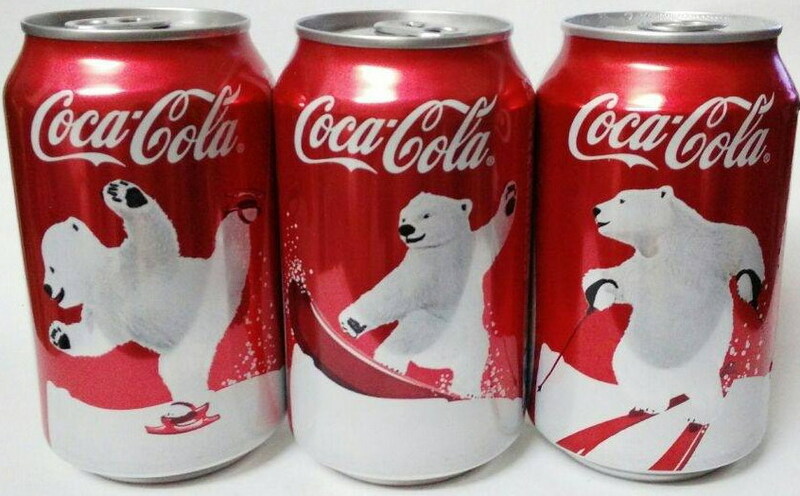 This set of 2 cans was made by Coca-Cola in collaboration with China Coca-Cola Collector Club for a charity event, a fundraiser. 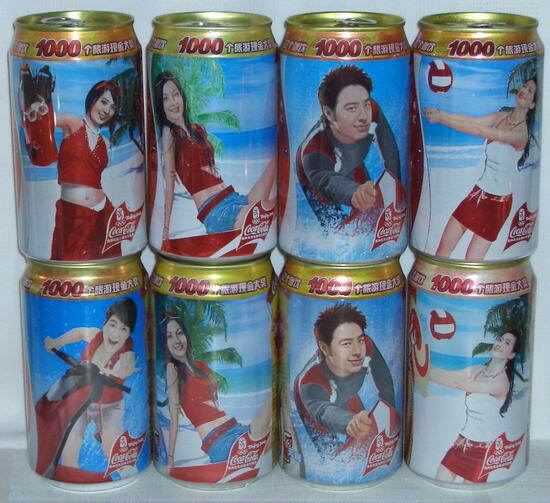 1000 cans, each model, were produced. 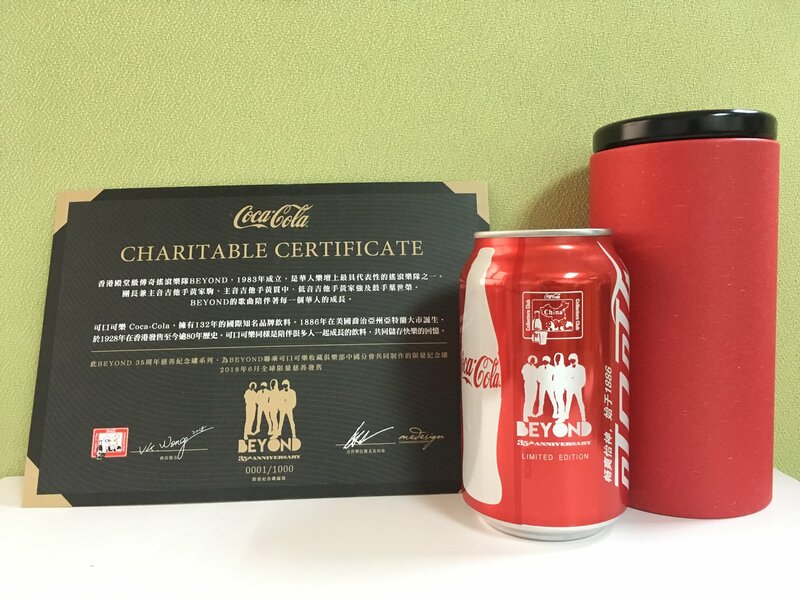 The can was delivered in a red tube with its own certificate. 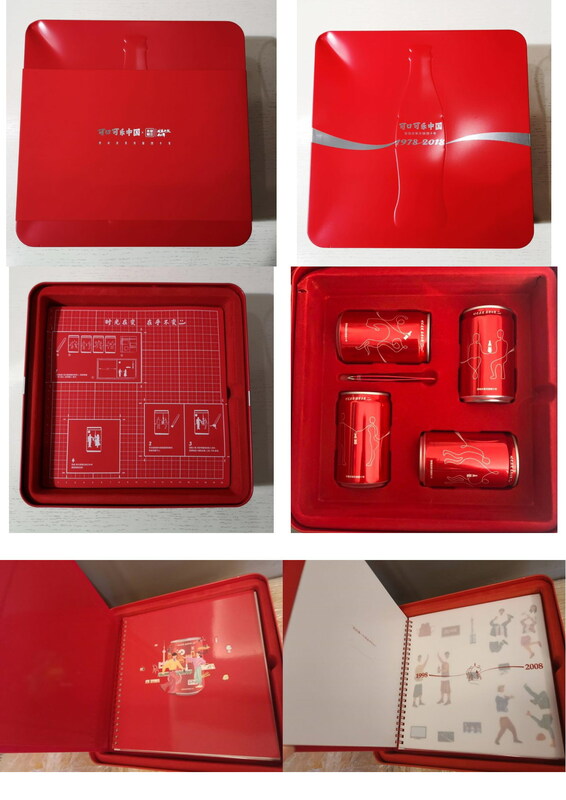 The box was made for celebrate the 40th anniversary of China's reform and opening up. 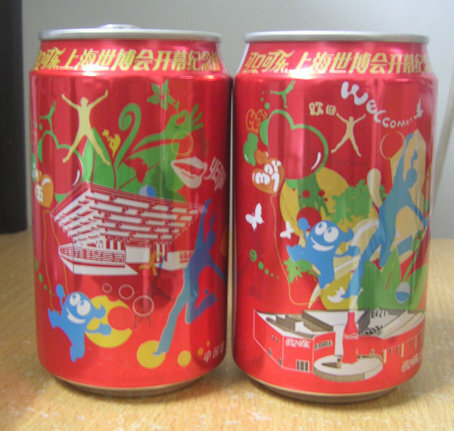 Inside a beautiful box there are 4x200ml coke cans. 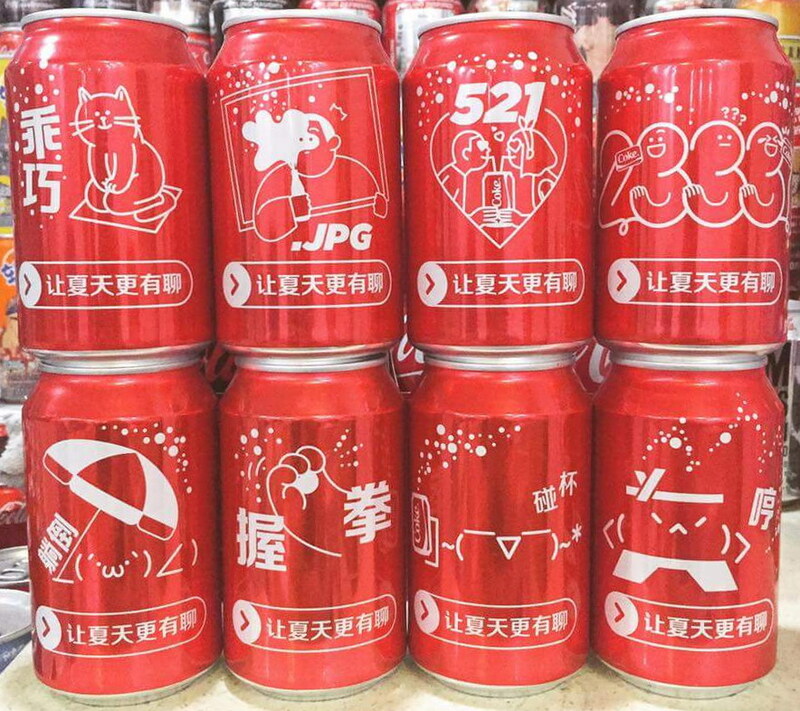 Then there are a book with stickes with different "life pieces" from 1978 to 2018 that you can use to put on the coke can.